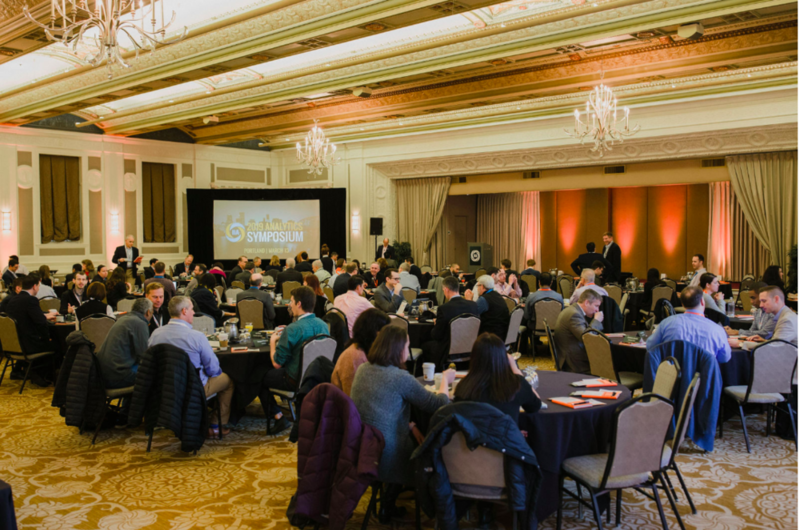 Nearly 200 of International Institute for Analytics’ clients, analytics experts, and members of the analytics community gathered in Portland, Oregon this week for the spring Analytics Symposium. International Institute for Analytics (IIA) also hosted its first Women in Analytics networking event, an interactive Analytics Workshop, and introduced two tracks of sessions to bring the most value to attendees. Below we will review key themes of the conference and highlights from each session. Mark Madsen, a member of IIA’s Analytics Expert Network, guided attendees over challenges of model deployment and technology implementation. After all, acquiring new tools is easy, but implementing tools is not. Mark recommends planning for technology first before building internal structures. Applying analytics is often not a technical problem; failures occur more frequently in execution by external functions, not internal analytics development. Problem solving requires closing the loop with both humans and processes. In order to figure out what went wrong with a model, the output must be reproduced to track its path. Marc Demarest discussed a topic that he often speaks to IIA clients about on Inquiry Exchanges: managing the supply and demand of analytics in an organization; supply being the output of the analytics team to meet the demand of business functions.. The dominant model, particularly at legacy companies, has been driven by the supply side. An advanced analytics program requires a low-barrier, demand side-oriented information economy. After all, decision support starts with people and problems, not data and code. Zack Anderson is the Chief Analytics Officer of Electronic Art (EA), a company that used to have a turnover of data science talent higher than 20%. EA significantly reduced its data science turnover with three successful strategies: great people practices, fostering an analytics community, and life-long learning. EA cultivated an analytics community with an annual internal conference, inspired by Disney’s annual DDAC conference for the company’s internal analytics teams. In addition, EA now has periodic town hall sessions and Slack communication channels for analytics teams. The idea was to connect members of analytics teams across functions and silos to promote knowledge sharing and a thriving community. Zack and his team also created an innovation competition to engage the company’s data scientists. John Deere has been around for 180 years, but that hasn’t stopped the company from advancing its analytics programs – particularly under the leadership of Kira Barclay and Liz Conzo. In this engaging session, Liz and Kira explored the differences and similarities between teams on the IT side and teams on the innovation side, and how they work together and learn from each other. Established processes are often viewed as a hindrance, but can give teams and enterprises an edge when used leveraged correctly. Kira and Liz work together to innovate and advance the company without losing sight of its core values. What are bid data, machine learning, and artificial intelligence and how are they affecting my business? How do we analyze and select winning data science projects? How do we manage successful data projects from conceptualization to completion? How do we adopt a data-driven mindset within our group and the broader organization? Nike faces an issue similar to many of IIA’s clients: how can an established, non-digital native company progress towards advanced analytics maturity? Matt Levinson, Director of Personalization Data Science, shared how Nike’s challenge is not its lack of capabilities, but rather its culture – a common theme among non-digital natives. The pre-requisite to overcoming this issue is a strategic vision to create a data-driven culture, and this change starts from the top executive level down to each business function. 85% of big data projects fail to get into production, and it’s not because of technology – it’s a management problem. The manifestation of a data engineering culture is a correct ratio of data engineers to data scientists. Jesse Anderson of Big Data Institute defines a data engineer as someone who has specialized their skills in creating software solutions around big data, a data scientist as someone who has augmented their math and statistics background with programming to analytics data and create applied mathematical models, and a database analyst as an SQL-focused person. An effective data engineering team should be multidisciplinary and needs experience in distributed systems, programming, analysis, visual communication, verbal communication, project veteran, schema, and knowledge. Dr. Jennifer Prendki, a member of IIA’s Analytics Expert Network, made the point that machine learning and data science functions are “notorious” for poor ROI. A solution? Implementing Agile to utilize skills and resources more efficiently. The Kanban methodology is suited for small teams, while lean and minimum viable products (MVP) works well for larger organizations. It makes more sense to build just enough functionality to get feedback from users. The wine industry is more than 6,000 years old, which is significantly more than most industries can say. Cathy Huyghe, Co-Founder of Enolytics, is creating a revolution in this ancient industry by tapping the vast potential of winery data and consumer data. She described the challenge in communicating the business case for data while maintaining the romantic culture of wine. Attendees got a taste of a new wine analytics tool called Quini as well as a taste of three local Oregon wines – just for the sake of collecting data, of course! With 16 speakers sharing varying perspectives of the analytics journey and future, one thing was consistent: the story you tell with analytics is just as important as the way you derived the results. This ever-growing and evolving industry is making huge impacts on business. We at International Institute for Analytics want to give a huge thanks to all of the speakers and attendees for making this Analytics Symposium the most well-attended and engaged one yet! Keep an eye out for more detailed write-ups on the sessions over the coming weeks. We hope to see you at IIA’s next Analytics Symposium in Detroit on October 8-9, 2019.